Wam Image Credit: Ajman Police unveiled the UAE' first wireless sniper that's equipped with an air gun. 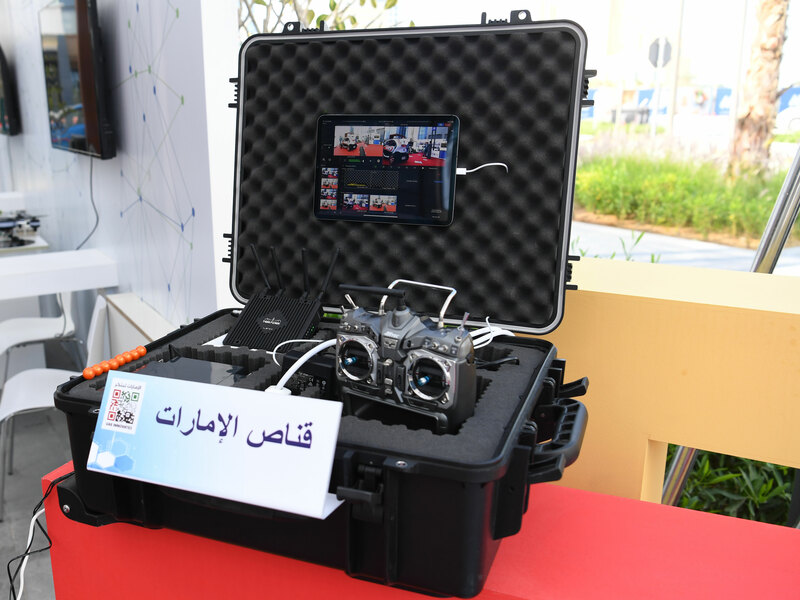 Ajman: Police have unveiled a potential new member to its squad – a wireless vehicle equipped with a 100-shot air-pressure weapon that moves up to 100 km/h. Major General Shaikh Sultan Bin Abdullah Al Nuaimi, Commander-in-Chief of Ajman Police, launched the UAE's first wireless sniper car during Innovation Month. "Emirates Sniper is a wireless 4x4 vehicle controlled by remote controll, and made from a solid steel plate that weighs 11 kg," said the police's spokesperson Majid Ibrahim Al Zarouni, who invented the machine. The vehicle is equipped with an all-terrain slip-proof tyres that has a battery-operated electric motor, a GPS tracking system and two cameras connected to the Operations Control Room. 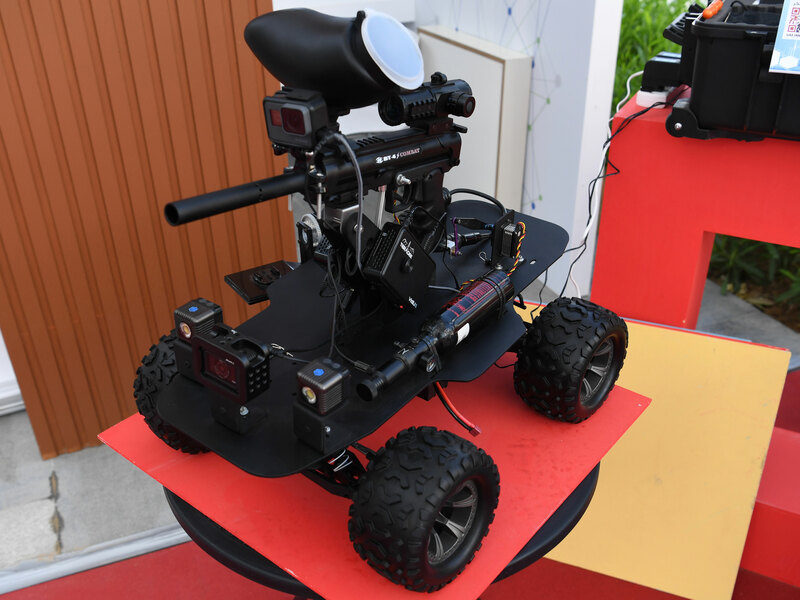 Through the remote control, which is also equipped with night vision, police can aim the weapon at the target and direct the vehicle’s movement. Al Zarouni explained that it took three months to manufacture the vehicle after two years of research, and was carried out with the collaboration of the Ministry of Interior’s centre for Innovation.